Insight Medical Genetic's highly trained team of physicians, counselors and lab technologists are on hand to provide personalized genetic counseling. Insight Medical Genetics is home to a highly trained team of physicians, counselors and lab technologists on hand to provide our patients and referring providers with high-level personalized genetic counseling, medical genetics and laboratory services. Morry Fiddler has been actively involved in medical genetics for many years. Since taking leadership in 2013, he has led the strategic development of the practice, on-site laboratory, and future of IMG. Through an emphasis on clinical and laboratory communication and collaboration, his efforts provide patients and their referring providers with comprehensive, integrated knowledge of genetics. Dr. Fiddler earned his PhD in Human Genetics from the University of Minnesota and continues to publish extensively and collaborate on many studies in the field. Lee Shulman, MD, is board certified in both OB/GYN (FACOG) and Clinical Genetics (FACMG) with over 25 years of clinical practice. Dr. Shulman is the Anna Lapham Professor of Obstetrics and Gynecology as well as the chief of the Division of Obstetrics and Gynecology – Clinical Genetics at Northwestern University Feinberg School of Medicine. He has been consistently named a top doctor in Chicago and a top doctor in the US since 2002 and 2005, respectively. Dr. Shulman earned his MD from Cornell University College of Medicine and completed his internship and residency at North Shore University Hospital – Cornell in New York. His interests and expertise include prenatal diagnostics, preconception genetics, the genetics of common diseases, genetic counseling, cancer genetics, ovarian cancer screening, reproductive and hormonal problems, amniocentesis, and chorionic villus sampling. 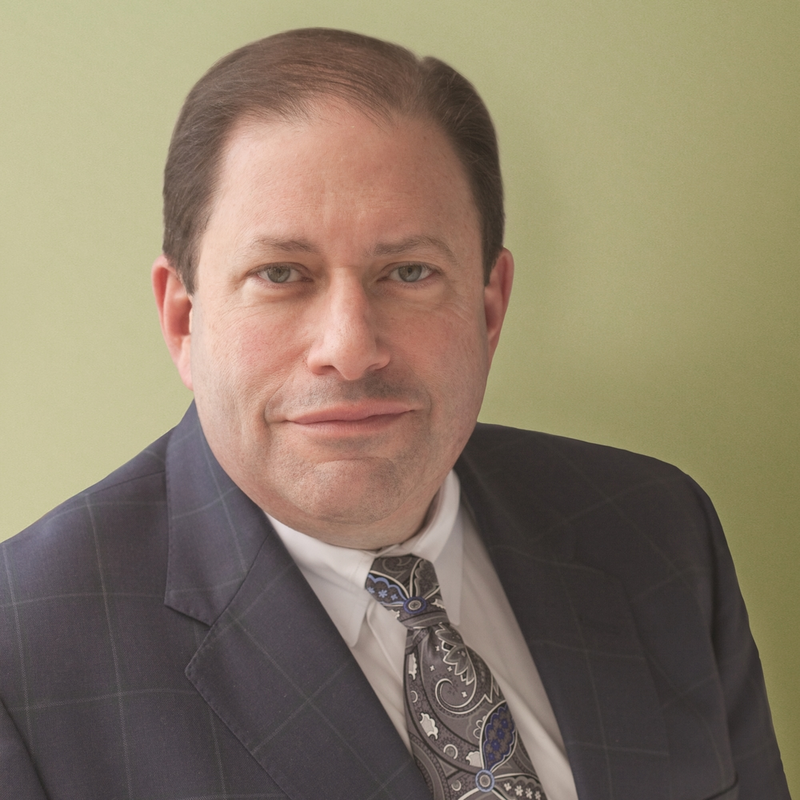 Dr. Shulman was interviewed by WGN News on the subject of hereditary cancer risk following Angelina Jolie's public announcement of her decision to remove her ovaries and fallopian tubes as a preventative cancer measure. Jolie's choice to go public with this news raised many questions on the topic of hereditary cancer screening and diagnosis. In the video below, Dr. Shulman addresses these concerns. Dr. Lee Shulman WGN Interview March, 2015 from Insight Medical Genetics on Vimeo. Jeff Dungan, MD, has over 20 years of clinical experience in obstetrics and gynecology, with board certifications in both OB/GYN (FACOG) and Clinical Genetics (FACMG). Dr. Dungan serves as the chief of the Division of Obstetrics and Gynecology – Diagnostic Ultrasound at Northwestern University Feinberg School of Medicine, where he is also an associate professor of reproductive genetics. Dr. Dungan received his MD from Creighton University and spent his residency at the University of Virginia. His expertise and interests span prenatal diagnostics, chorionic villus sampling, ovarian cancer screening, preconception genetics, and ultrasonography. Andy Wagner, MD, has over 17 years of clinical experience in obstetrics and gynecology, with a special interest and expertise in prenatal diagnostics, genetic counseling, high risk pregnancy and teratology. He received his MD from the University of Wisconsin Medical School, spent his residency at the Aurora Sinai Medical Center in Milwaukee, Wisconsin, and completed a fellowship in clinical genetics at the University of Pittsburgh’s Magee-Womens Hospital. Dr. Wagner previously served as an associate professor at the Department of Obstetrics and Gynecology in the College of Medicine at the University of Oklahoma Health Sciences Center. Taya received both a bachelor's degree in psychological services and a master's in genetic counseling from Northwestern University. She is a licensed, board-certified genetic counselor in the state of Illinois and has been practicing since 2001. Taya serves as a full-time clinical genetic counselor at Insight with a special interest in cancer risk and hereditary cancer predisposition counseling for individuals and families. Additionally, Taya is a core faculty member of the Graduate Program of Genetic Counseling at Northwestern University's Feinberg School of Medicine. She also speaks regularly on the subject of cancer genetics at academic institutions, educational conferences and public events. Lauren is a certified genetic counselor, licensed in the state of Illinois. She has worked full-time as a clinical genetic counselor and coordinator for MotherToBaby Illinois. Lauren graduated with a bachelor’s degree in molecular biology and earned an MS in genetic counseling at Northwestern University. Eve earned a bachelor's degree in biology from Roanoke College and a masters in genetic counseling from Northwestern University. She has been a licensed board-certified genetic counselor in the state of Illinois for the past 17 years. Before joining Insight, Eve served as the senior prenatal genetic counselor at NorthShore University Health System. Eve works with both preconception and prenatal patients and specializes in ultrasound anomalies. Gwen is a licensed and board-certified genetic counselor in the state of Illinois and has been practicing since 2004. She earned a BS in English from Carlton College and an MS in genetic counseling from University of Colorado. Gwen previously served as a senior prenatal genetic counselor at Northwestern Medicine. She sees preconception, prenatal and cancer patients at Insight. Holley attended the University of Arizona where she received a bachelor's in molecular and cellular biology prior to obtaining her master's in genetic counseling from Northwestern University. She has been a licensed and board-certified genetic counselor since 2013. Holley previously served as a prenatal genetic counselor at the Arizona Perinatal Care Centers and the lead cancer/adult genetic counselor at NorthShore University Health System. She sees preconception, prenatal and cancer patients at Insight Medical Genetics. Stacey is a licensed and board-certified genetic counselor who sees prenatal and hereditary cancer patients at Insight. She has been a clinical genetic counselor for over 10 years. Stacey attended the University of Illinois where she received a bachelor’s in biology. She completed her master’s degree in genetic counseling at Northwestern University. Shelby is a licensed, board-certified genetic counselor and recent graduate of Northwestern University's genetic counseling graduate program. She attended University of Nebraska in Lincoln for undergrad where she majored in biochemistry and minored in sociology and psychology. Shelby sees prenatal and preconception patients at Insight in addition to serving as the lab counselor for our national lab service. Rebecca joins the Insight team after recently completing the graduate program in genetic counseling at Northwestern University. She attended UCLA for undergrad where she received a BS in human biology and society. Rebecca focuses on counseling and educating prenatal and preconception patients within the Ashkenazi Jewish population of Chicago through community outreach with local Jewish organizations. Sarah attended Wittenberg University and graduated with a bachelor's in biology and a minor focus in marine biology. She completed the genetic counseling master’s program at the University of Cincinnati in 2014. Sarah is a licensed and board-certified genetic counselor specializing in prenatal and preconception counseling as well as teratology. Megan joins the clinical team as a recent graduate of Case Western Reserve University's genetic counseling program. In addition to her MS degree in genetic counseling, Megan earned an MA in bioethics. Megan received her bachelor's degree in biology from University of Wisconsin-Madison. Megan works with preconception, prenatal and cancer patients at Insight's offices in Glenview, Arlington Heights and Chicago. Rizwan is the off-site Laboratory Director at Insight Medical Genetics. Camille Baxter applies her 30 years of experience leading marketing, communications, and business development in both business and healthcare sectors. At Insight she is responsible for generating increased market awareness of genetic counseling and expanding relationships with clinical practices to meet the genetic needs of their patients. Prior to joining Insight Medical Genetics, she was Senior Director of Health Enterprise Marketing at the University of Illinois Hospital & Health Sciences System in Chicago. She previously led a consulting firm, Impact Coaching and Consulting and has held several leadership roles at Xerox Corporation, American Express, and Citigroup Diners Club. She holds an undergraduate degree in communications from Loyola University in New Orleans and a Master of Arts degree from DePaul University in Chicago. Camille is also an adjunct lecturer at the University of Illinois at Chicago graduate program in Health Policy and Administration where she teaches Healthcare Marketing.